I’ve updated my Events Page, so check there for events I hope to be speaking at between now and the end of March. 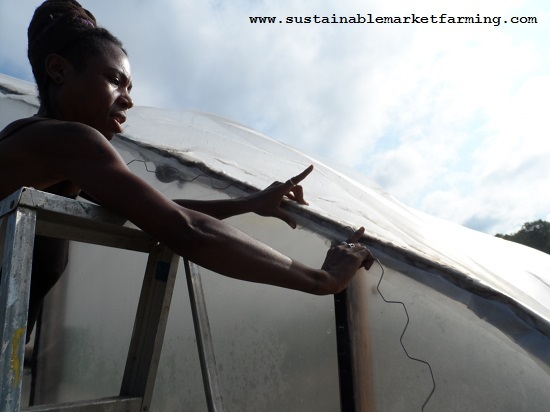 This presentation includes techniques to extend the lettuce season using rowcover, coldframes and hoophouses to provide lettuce harvests in every month of the year. The workshop will include a look at varieties for spring, summer, fall and winter. We will consider the pros and cons of head lettuce, leaf lettuce, baby lettuce mix and the newer multileaf types. Information will also be provided on scheduling and growing conditions, including how to persuade lettuce to germinate when it’s too hot. Demonstrations of tomato string-weaving and use of wigglewire to fasten hoophouse plastic to frames, at the New Society Publishers booth. Fri 12.30-1.30pm, 3.30-4.30pm; Sat 11.30-12.30, 5-6 pm; Sun 9.30-10 am, 11.30 am-12.30 pm. Wigglewire is reusable every time you change the plastic on your hoophouse. 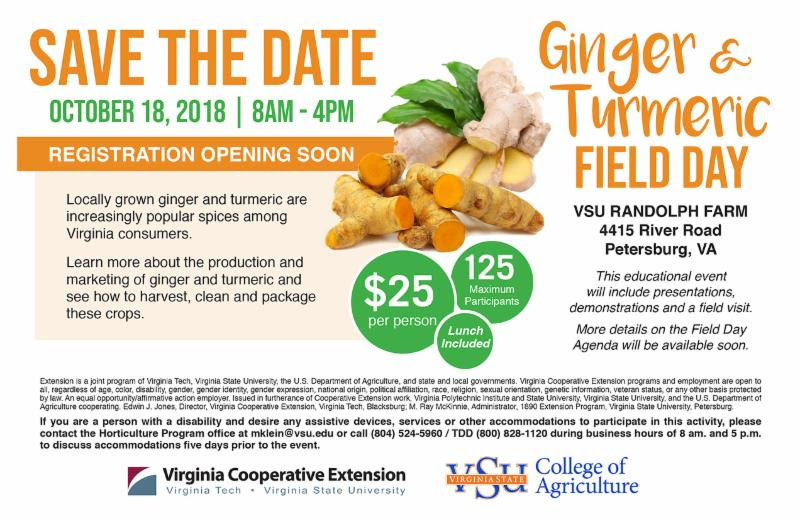 I’m sadly not attending the Virginia State University Ginger and Turmeric Field Day, but I recommend it! Ginger and turmeric have been used widely throughout history in many different types of cuisines for their spice and flavor, and these spices may also provide a number of health benefits. Learn more about the production and marketing of ginger and turmeric and see how to harvest, clean and package these spice crops. This educational event will include presentations, demonstrations and a field visit. More details on the Field Day Agenda will be available soon. If you are a person with a disability and desire any assistive devices, services or other accommodations to participate in this activity, please contact the Horticulture Program office at [email protected] or call (804) 524-5960 / TDD (800) 828-1120 during business hours of 8 am. and 5 p.m. to discuss accommodations five days prior to the event. Conferences, field days and workshops are great ways to expand our farming and gardening knowledge and fill the gaps. Perhaps you are a Beginning Farmer (defined as farmers with less than 10 years’ experience). There are many great regional associations for training new and beginning farmers and ranchers, and one of those I know best is the Future harvest CASA BFTP. This is a region-wide program, open to beginning farmers in MD, VA, DE—including the Delmarva Peninsula—and DC, WV, and PA.
A free, year-long program with 3 levels from entry-level to advanced. The BFTP offers a year-long immersive training experience that combines a comprehensive classroom curriculum with hands-on learning at Chesapeake region farms that employ practices that are profitable, protect land and water, and build healthy communities. The BFTP offers 3 training levels, designed to meet the specific needs of beginning farmers at different stages in their careers. We offer farmer-to-farmer training opportunities throughout the Chesapeake region, and classroom requirements may be completed in-person or online. We offer training in diverse operation types, including vegetables, fruit, cut flowers, herbs, and livestock at urban, peri-urban, and rural farm settings. The program is also designed with built-in scheduling flexibility to allow new farmers to further their training while maintaining their own farms or other work. The final submission deadline is October 15, 2018. Detailed program information and instructions on how to apply are on our website HERE. Questions? Please contact Sarah Sohn, BFTP Director: [email protected].